I really love DIYs because you create something that is totally unique and you also save some bucks because you save yourself from buying something that you can actually make on your own. Ombres are really hot this season! We see a lot of ombre hair, ombre nails and of course, ombre clothing pieces. I have this denim top that I got (stole) from my mom's closet. It was really nice and I like the vintage feel to it. However, every time I wear it, I feel so hot because the cloth is really thick and dark and you know that we have super hot weather in the Philippines, yes? So, I wanted to recreate the top... and I thought of Ombre! 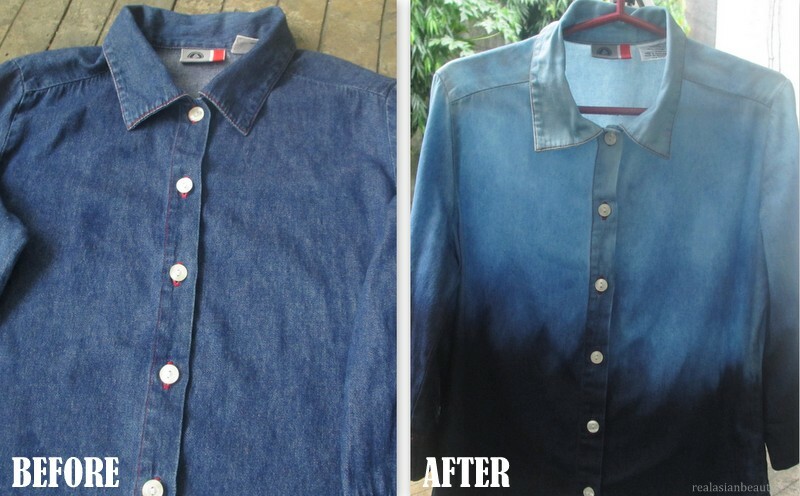 Here is the before and after looks of the denim top. Watch the video below to learn how to ombre a denim clothing item. The procedure is really very simple and easy, however you need a lot of dedication while doing it. In the video, when I said soak I didn't say "leave" with it. You have to watch what you're doing because if you leave it, it might get too washed off and you might end up with just plain white washed denim. You also have to be careful and never splash unwanted clorox on the lower part of the denim as it might get washed off, too. You want to create a really pretty and seem less ombre effect. 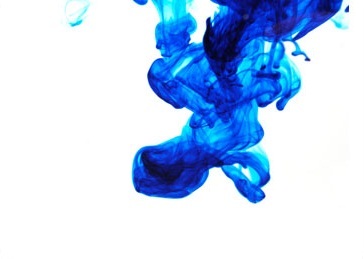 A great alternative to the clorox is dye! However, you'll need a lighter denim and instead of bleaching the cloth, you are going to color it instead. This is really simple, quick and fun to do! After I was done with the denim top, I quickly searched my closet for more denims because I want to create more. I think the idea and the effect of the ombre is really cool and chic! Here are some photos of me wearing the shirt. Since the top goes from light shade to dark, I decided to pair it with a royal blue skinny jeans to make a gradient effect and then I wore my black Lita's to make the bottom really dark to complete the whole look. I hope you like the tutorial and I hope I inspire you to make your own, too. I want to see how creative and talented you guys are so please Tag me on Facebook when you do it.